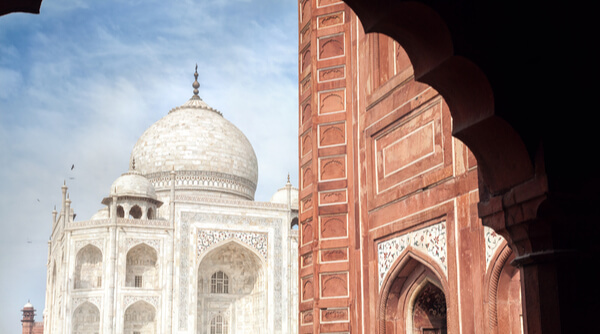 Do you want to see the captivating view of Taj Mahal changing its tone in the different time of the day, do you want to know what the tales behind the grand forts of Jaipur are and want to experience the actual Mughal impression of the Capital City? So, we have the best solution for you as golden triangle tour 4 nights 5 days. Actually these three main cities Delhi, Agra & Jaipur are rich with an abundance of cultural heritage & history and forming an equilateral triangle in the map of India, so we named this package “5 day golden triangle tour india”. As we know about Delhi (capital of India) is a perfect mishmash of world-class infrastructure like Metro, flyovers, underpass, airport and signature bridge etc. on the other hand old monuments like Qutub Minar, Tughlakabad Fort, Humayun’s Tomb and Red Fort etc. Add to it the enchanting beauty of the Taj Mahal and the eye-catching splendor and glory of the Pink city, Jaipur. It turns into an appealing blend of customs upheld in all its grandeur, these three different regions with three different cultures to visit, but magnificent all the same. President House, Parliament House and National Museum etc. Shopping experience in local MarketSo, with 4 nights golden triangle tour we will give you an opportunity to visit these most amazing places and their sub-regions. We Unique India Tours have meticulously crafted a package of 5 Days and 4 Nights for their visitors. 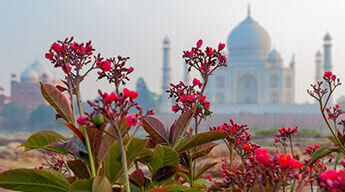 The 4 nights 5 days golden triangle tour includes 3 best locations of India that are Delhi, Agra and Jaipur. In these 5 days and 4 nights, you will get all the chance to relish your taste buds in the food freaking streets of Delhi, pamper yourself with some royalty in the forts of Jaipur and give your eyes a soothing view in Agra. 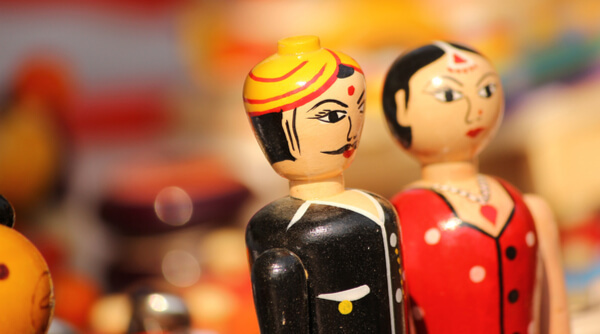 This tour package not just satisfies the travellers but also fills the heart of newly-wed couples. While crafting the package UIT has kept in mind the needs of a nature lover, adventure enthusiasts as well as family trip lovers. Your 5 Days will start with visiting the best locations in Delhi to the monument lands of India which is Agra. From there, your thrills will get a touch of royalty in the adrenaline enticing Rajasthan. 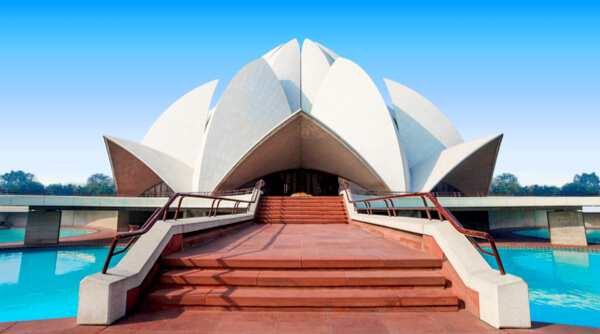 Our representative will pick you up from the Delhi Airport on your arrival. From there you will be taken to the pre-booked hotel room for a night stay. You can go for a local sightseeing on your own. The day will start with a delicious meal, followed by a sightseeing tour with our guide. 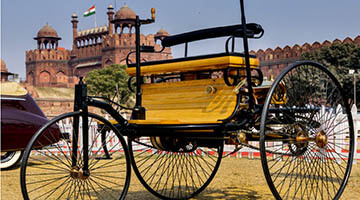 You will be taken to the heritage and cultural properties of New Delhi as well as Old Delhi. We will cover Jama Masjid, Raj Ghat, Red Fort, QutubMinar, Parliament House, Humayun's Tomb and the food bazaar of ChandniChowk. After enjoying the day we will head towards Agra during the evening. The dinner will be served in your hotel room in Agra. You can enjoy the sunrise standing at TajMahal, glaring at the masterpiece. After this, we will head back to the hotel. The sightseeing tour of the city will star post breakfast. You will be taken to the glorious Agra Fort, MehtabBagh and Itmad-Ud- Daula. After a tiring day, we will head to the Pink city. You will also get to see the beautiful Fatehpur Sikri en-route. After the arrival in Jaipur, dinner will be served in the hotel room. NOTE: TajMahal is closed on Fridays. The day begins with some scrumptious food after which you will be taken for an elephant ride inside the fort premises. Post this, our guide will take you to JalMahal, Amer Fort, JantarMantar, City Palace, and magnificent HawaMahal. After a tiring day, you will be given a complimentary dinner with the UIT team in the hotel. Overnight Stay. After delicious breakfast, transit to Delhi. From there you will move on to your onward journey. NOTE: The above itinerary is a suggested one. It can be customized as per your wishes, interests, preferences. More cities can be added in the package as per your comfort. The sequence provided can be flexible. 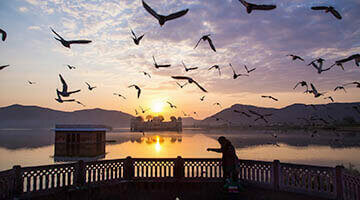 4-nights hotel accommodation in Delhi, Agra and Jaipur with breakfast. Camera Fee & Entrance Fees to Monuments. Optional, suggested or unspecified activities. 1. Which are the best places we can cover on this 5 days golden triangle tour? Make your 5 days on the golden triangle tour more interesting by covering some of the most beautiful places. Do not miss the visit to Qutub Minar, Lotus Temple, Taj Mahal, City Palace and Amer Fort. These monuments are proof of the withholding architectural craftsmanship. 2. Which are the best places to visit in Delhi? 3. Which day Taj Mahal is closed? Taj Mahal is closed every Friday for general viewing. 4. Why is the Red Fort famous in world? Red Fort is famous for its magnificent Mughal architecture and interesting history. The beautiful fort houses impressive buildings like Diwan-e-aam, Diwan-e-Khaas, Rang Mahal, Moti Masjid and peacock throne. What makes the fort more intriguing is ‘Kohinoor’ being a part of Shah Jahan’s throne. 5. 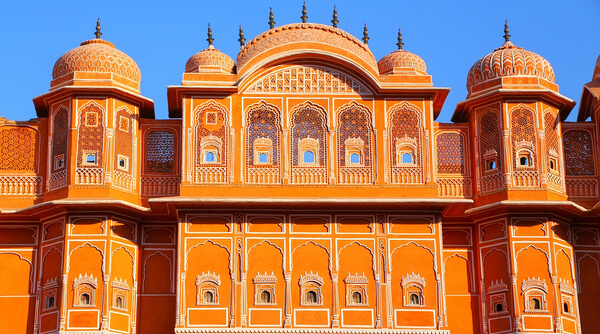 Why is Jaipur called Pink City? In 1876, on the visit of Prince of Wales and Queen Victoria to Jaipur, the then Maharaja of Jaipur, Ram Singh painted the city in pink color to welcome them. Pleased with the sweet gesture, Lord Albert exclaimed Jaipur to be the Pink City of India, and hence the name.